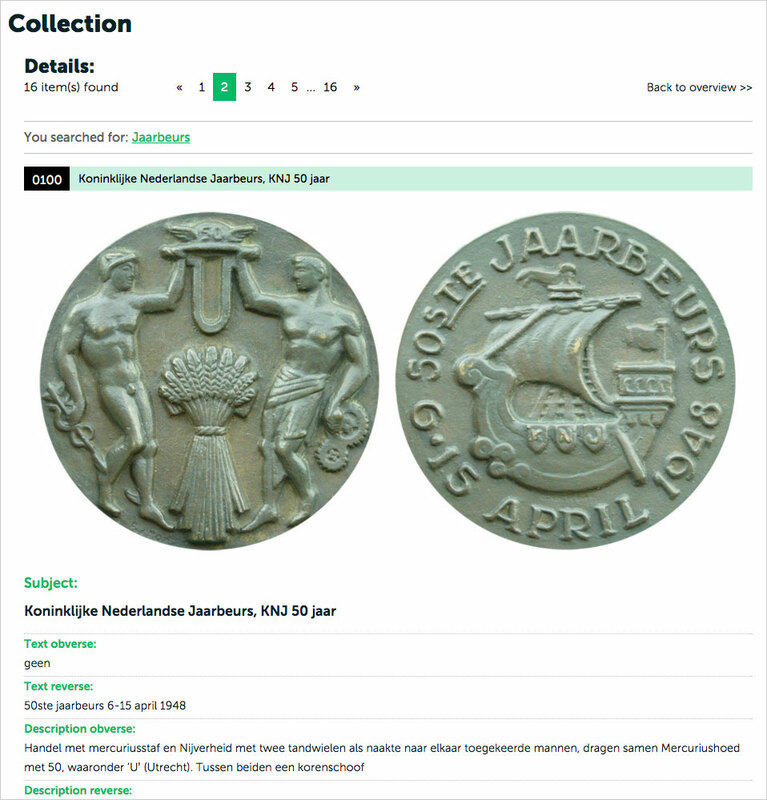 The term “Jaarbeurs” results in 16 hits in the Subject field, while for several of these 16 medals the “Jaarbeurs” also is part of the Obverse or Reverse text. The result of the search is presented as an overview of the 16 different medals, sorted by Inventory number and presented in groups of 12. You may change the sorting to Year, Medallist and Material, while you can opt for presenting the results in 12, 24, 36 or 48 medals per page. You can also switch between a presentation in the form of Tiles or as a List, see image in Tiles form below. By clicking on the images of one of the medals (or the default images if pictures not available), all information of this medal is presented in detail. 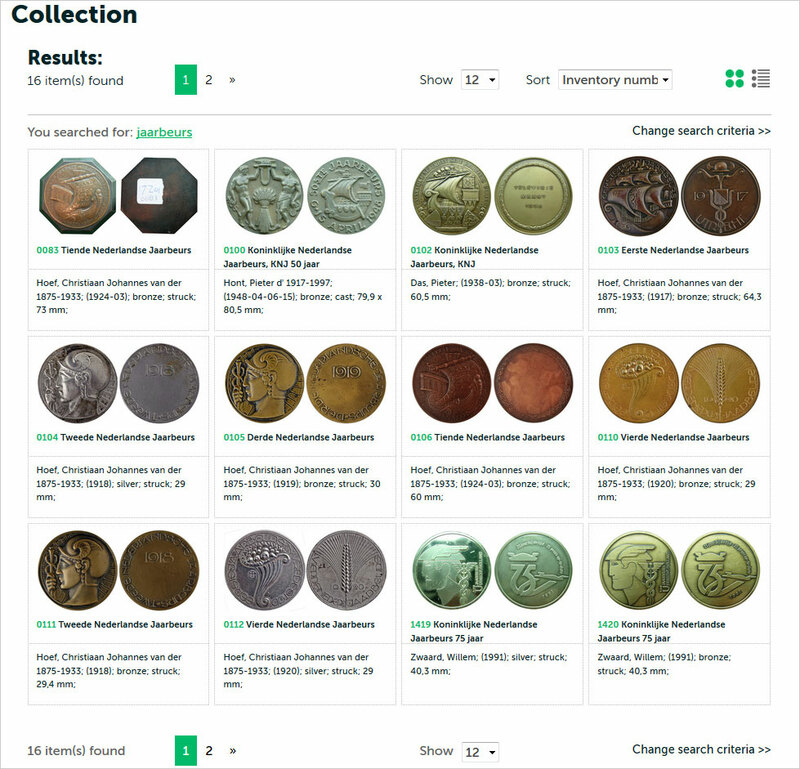 This search is more selective – it results in only 8 of the previously found 16 medals. Again they can be viewed as Tiles or List, and sorted differently, etc. See image in List form below. 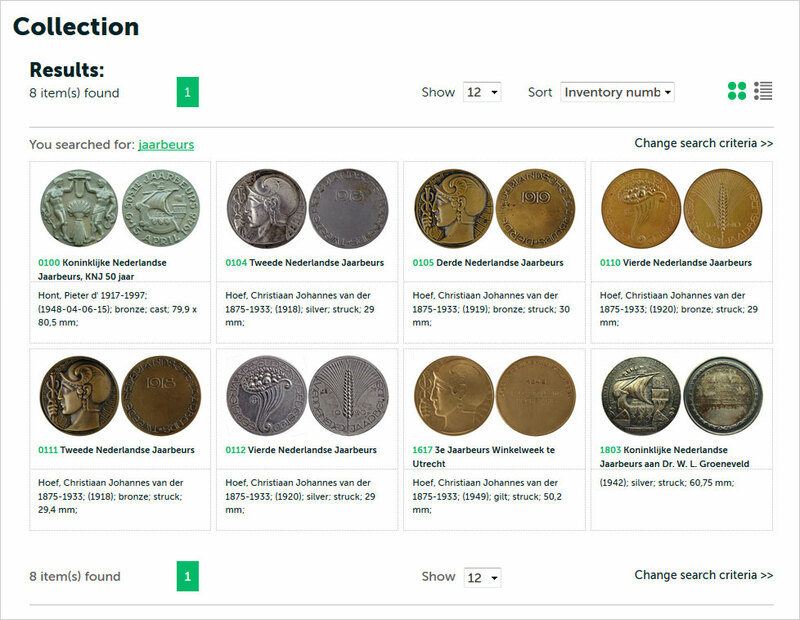 NB: If one would search for “Jaarbeurs” in the field Text Obverse, 11 medals would be found. The option “Advanced search” is clearly more specific and more focused.